We are here to help you with Life Insurance Approval with Dialysis! Finding an affordable life insurance policy with Dialysis can be quite the challenge. Can I Qualify for Life Insurance if I have Dialysis? Yes, most individuals with Dialysis will be able to qualify for traditional life insurance, the type of insurance which requires a medical exam. There is no best case, moderate or severe scenario for Dialysis, which means if a patient needs dialysis whether it is temporary or permanent a decline is automatic. It may be difficult for you to get insurance with other companies but there is such a rating as a guaranteed issue policy. For those who may have difficulty qualifying for traditional coverage, you could be eligible for a graded death benefit policy. Dialysis whether it’s recent or long-term will both get a decline. Long-term Dialysis will definitely show complications to other organs, and a recent one will end in the same state in the future. The need for medications may mean a more progressive condition that can result in serious kidney failure because drugs of any form are toxic to the entire renal system. Regular visits to your nephrologist are very important to ensure delayed progression of complications to the heart, liver, eyes and other organs. Dialysis is from the Greek word “dialusis”, which means dissolution. It is a procedure that is done in place of non-working kidneys whose function is to get rid of the body’s waste products (diffusion) and excess fluids (ultrafiltration) in the blood. The Dialysis machine acts as an artificial replacement for acute or chronic kidney injury. Dialysis is also done as a temporary renal support prior to a kidney transplant. 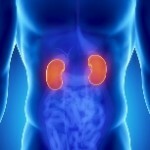 There are two types of Dialysis; hemodialysis and peritoneal dialysis. The former is most commonly preferred, and there are two methods to do it; continuous renal replacement therapies (CRRT) and slow, low-efficiency dialysis (SLED). Dialysis is done 3 or 4 times a week to maintain fluid and electrolytes and the body’s internal equilibrium. It creates balance between water and the minerals such as sodium, calcium, potassium, magnesium, sulfate, chloride and phosphorus, which determines the acidity or alkalinity of the body. Dialysis also helps the function of the endocrine system and maintains hormone levels, and also aids the production of calcitriol and erythropoietin that are important in blood production. 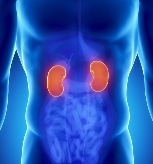 See all our other articles on Kidney Disorders and CLICK HERE!